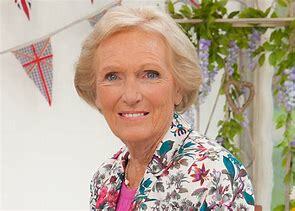 I'm not a great fan of Mary Berry, but I think she is spot on when she says that children should be taught the basics of cooking while at school. The TV cook of Great British Bake-Off fame and many other popular cookery shows, has slammed today's schools for failing to teach children simple cooking skills, such that they leave school able to create ten dishes. I have first hand knowledge of these school's failings - my 14 year old grandson is a keen cook but has a cookery teacher who can't cook herself and insists on easy solutions to teaching him. Take the pizza he prepared from a baguette and a tin of tomatoes, what did that teach him about cooking?. He already knows more than she does about how to prepare a range of meals from scratch, thanks to his father and his grandmother's diligence and skill in the kitchen. 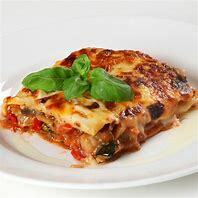 Miss Berry is reported as saying that every child should leave school able to create ten dishes that they really enjoy themselves and are healthy, aren't expensive and that are nutritionally good. She says that the problem is that many schools have let go of their home economics departments and sold off equipment. That is true, but that will have to change if the government enforces its new national curriculum offering, which includes Food Technology, which is about 'cooking' food and not just 'writing' about food! Miss Berry told the Sunday Times last week that she would have all children taught how to make gravy, how to cook vegetables and how to cook cheaper cuts of meat. I say, fine Mary, but you need the teachers who can do that, first of all. The former Great British Bake Off judge identifies her domestic science teacher, Miss Dale, as being her inspiration, who praised her for something she was good at doing. 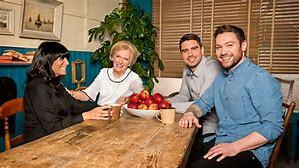 For those fans of Mary Berry, her new BBC series, Britain's Best Home Cook, (above) starts on Thursday this week and Mary judges the best amateur savoury meals. However, contestants should be aware that she has no time for the latest food fads - keep it simple is her motto. I can't agree more Mary!